At The Setting we specialize in experiential branding. Thoughtfully blending product and programming has naturally shaped our interest in brand development from startups to global brands. To date we have creatively contributed to three successful hotel launches with four new properties set to open in 2019. We have strategically built brands and curated experiences for clients in London, Paris, New York, Hong Kong, Los Angeles and beyond. Our shared creative approach to customization with a special focus on hospitality has been the most rewarding aspect of our work. Product development and resonant design inspire our client relationships many of whom we have worked with since our inception. Inquiries are welcome and a portfolio is available upon request. 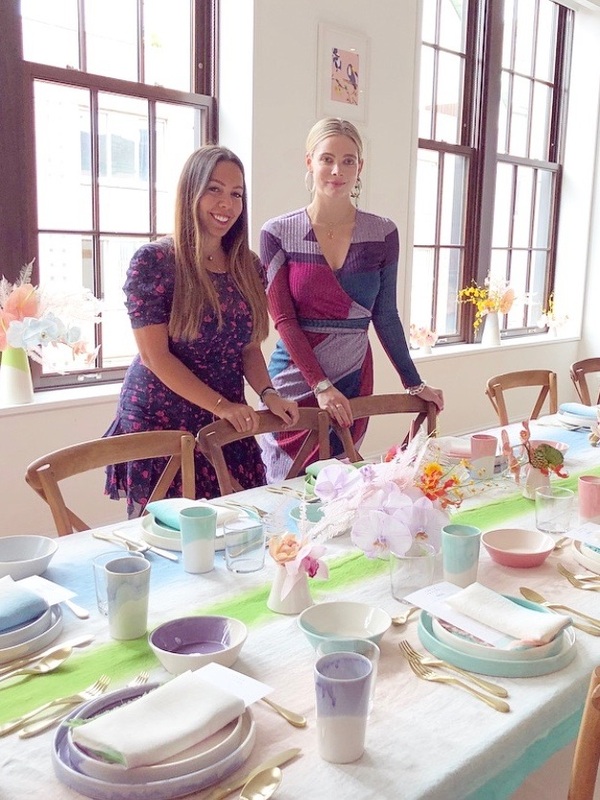 The Setting was formed by Amanda Shine and Billur Kazaz in 2015 after meeting in a Chelsea ceramic studio. They began collaborating on creative projects and soon after joined forces to launch a boutique creative agency headquartered on West Broadway in TriBeCa, New York. Amanda's career has taken her from Gucci, Everlane, Theory and Helmut Lang helming brand partnerships and special events. Billur's artistic talent led to a degree in illustration and textile design where she worked with clients such as Perrier, Lululemon, Tata Harper and more. Amanda is originally from Southampton, New York and Billur is from Ankara, Turkey. Both reside in Manhattan, New York with a second office in Los Angeles, California.